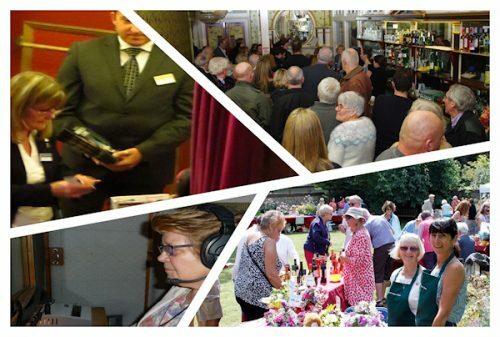 The Friends of the Devonshire Park Theatre has more than 1300 dedicated and enthusiastic supporters who enjoy the theatre, and are keen to help it and want to ensure that the Devonshire Park Theatre remains a part of our local community. Price concessions – normally 25% – on the first night (sometimes first two nights) on most shows at the Devonshire Park Theatre. Meeting the cast on first nights at ‘after show’ receptions. Participating in a variety of social events, including dinners, lunches, quizzes and talks. A magazine – Park Scene – produced three times a year which includes information on all the events and activities in our programme as well as articles of interest. assist in DIY (mainly decorating) projects around the Theatre. but most importantly enjoy your membership! Join us as we continue to support the Devonshire Park Theatre in all that it does.